Celebrate Sinulog 2018 with Grab in Cebu! 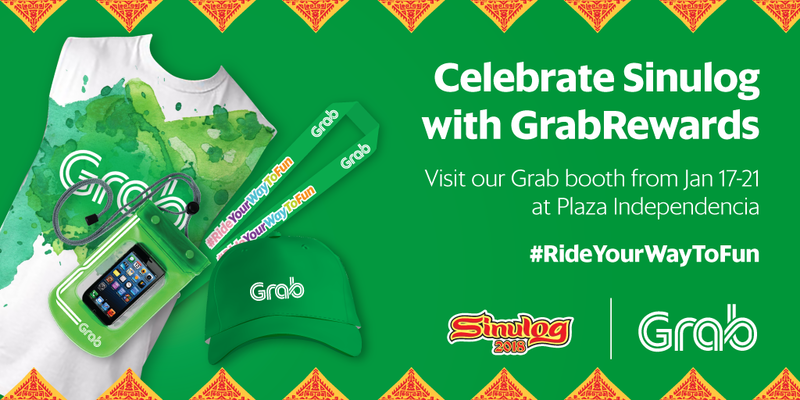 #RideYourWayToFun this Sinulog with Grab as exciting promos and rewards await Grabbers celebrating the country’s first major festival at the Queen City of the South–Cebu! 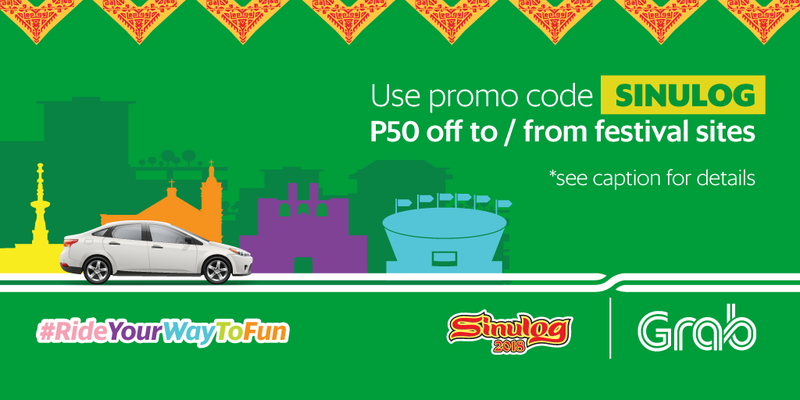 As a welcome treat, enjoy up to P150 off your ride from Mactan-Cebu International Airport when you book a GrabCar or Grab 6-Seater using the promo code BESTOFCEBU on Sinulog week. Being one of the major Gold sponsors for this year’s Sinulog festival, Grab colors the town festive and green. Get your selfie game on for its special installation at Fuente Osmeña Circle or if you’re lucky, take a glimpse of our exclusive Sinulog-themed wrapped car going around the city. Get those GrabRewards points ready as cool festival merchandise such as caps, sandos, lanyards, tumblers, waterproof pouches and even some free beers are up for grabs in our booths located at the Plaza Indepencia and Cebu City Sports Complex (Abellana). All you have to do is redeem any of these items using your GrabRewards points. Stay happy in satisfying your lechon craving at the House of Lechon restaurant by getting P100 off your total receipt purchase using your GrabRewards points. See you all in Sinulog and Grab Away!